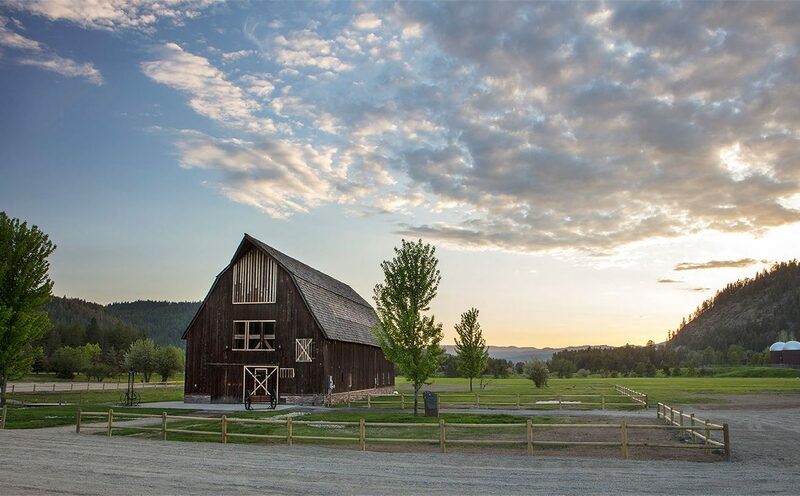 Located in Dover Bay, nestled in a field of green with majestic mountain views, our 1930’s era homestead barn event center will take your breath away. 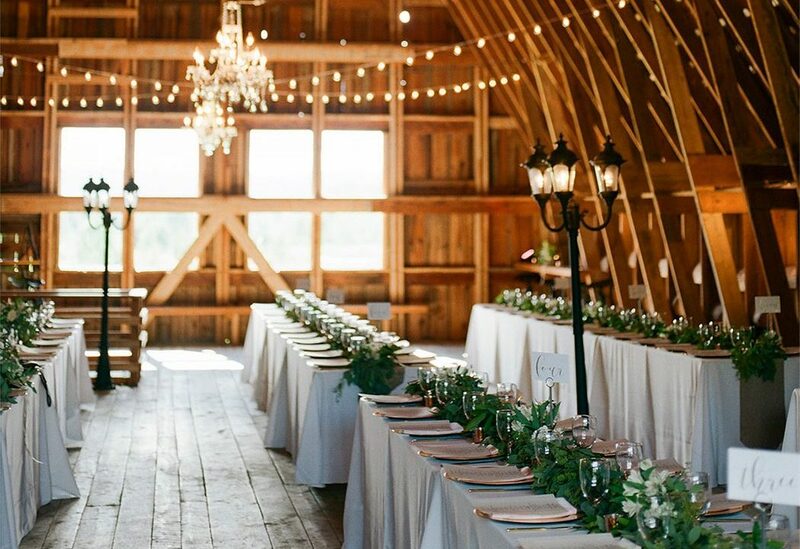 The recently renovated barn features graceful arched ceilings, highlighted by the soft glow of chandeliers and twinkling string lights that make this the perfect venue for your wedding or special event. 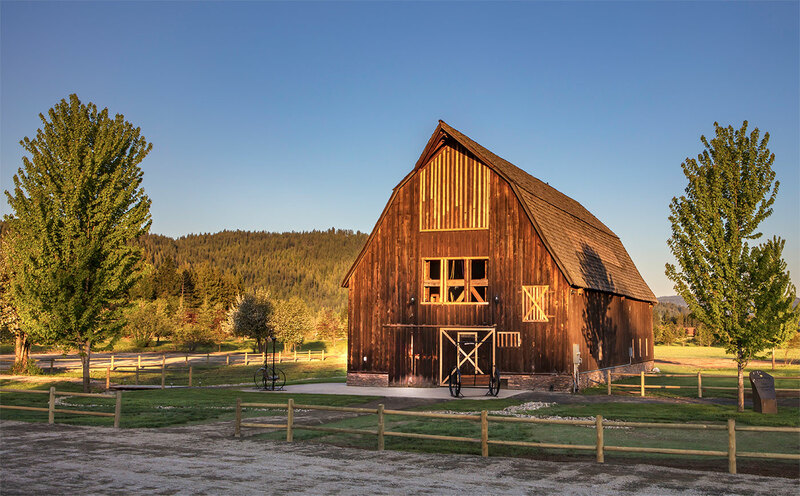 We provide memorable weddings, events and receptions for up to 175 seated guests inside the barn and can host up to 200 guests in an indoor-outdoor setup with a tent alongside on the manicured lawn. 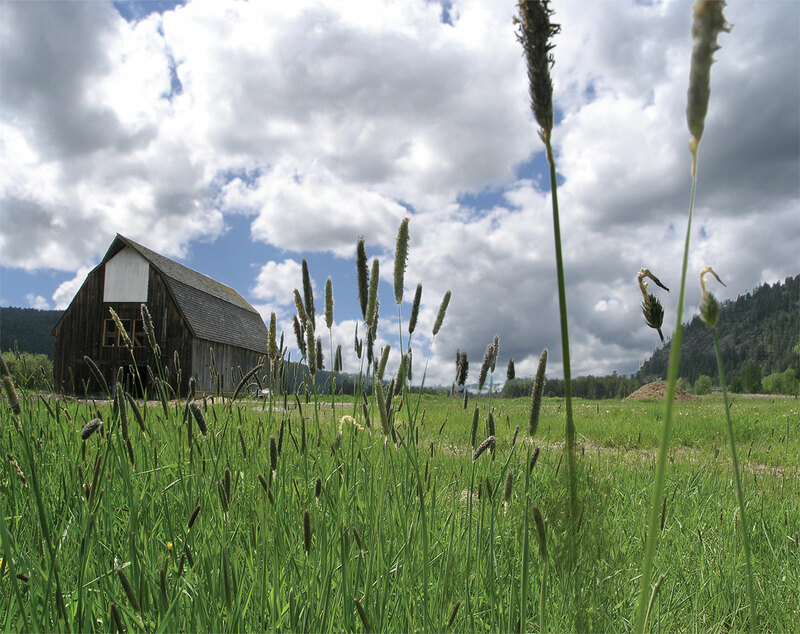 Our charming homestead barn venue at Dover Bay Resort is ideal for more than just weddings. It’s perfect for larger events, company picnics, anniversary parties, family reunions and special celebrations. 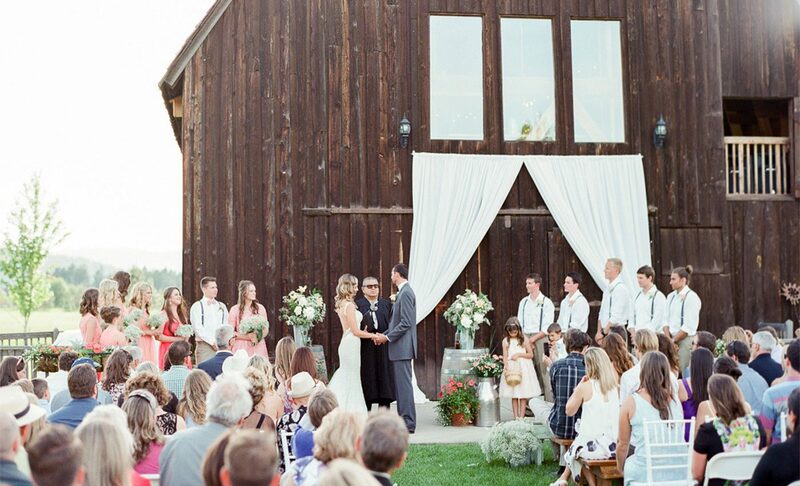 Looking for a destination wedding? 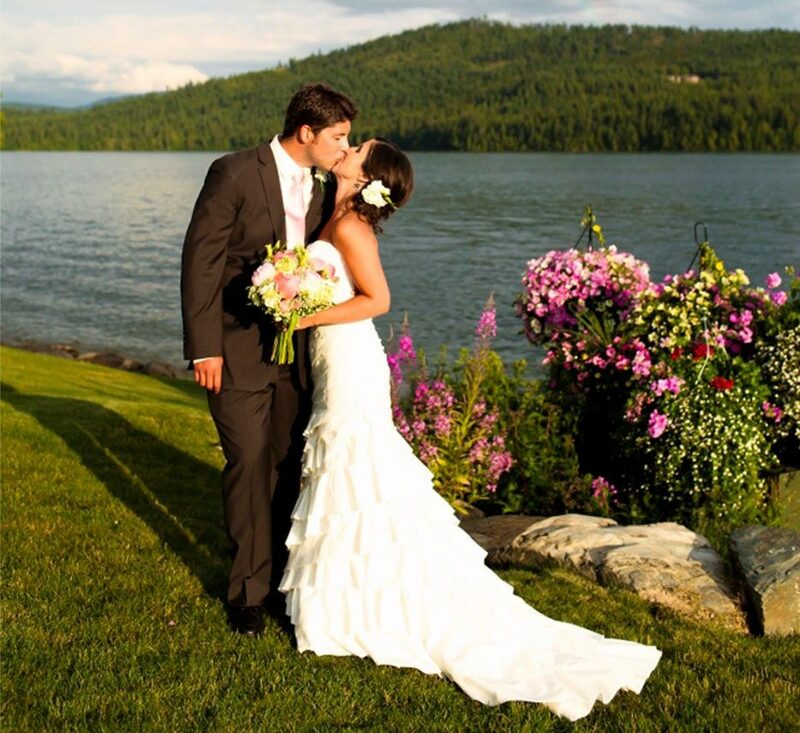 Awe your guests with a wedding at Dover Bay Resort. 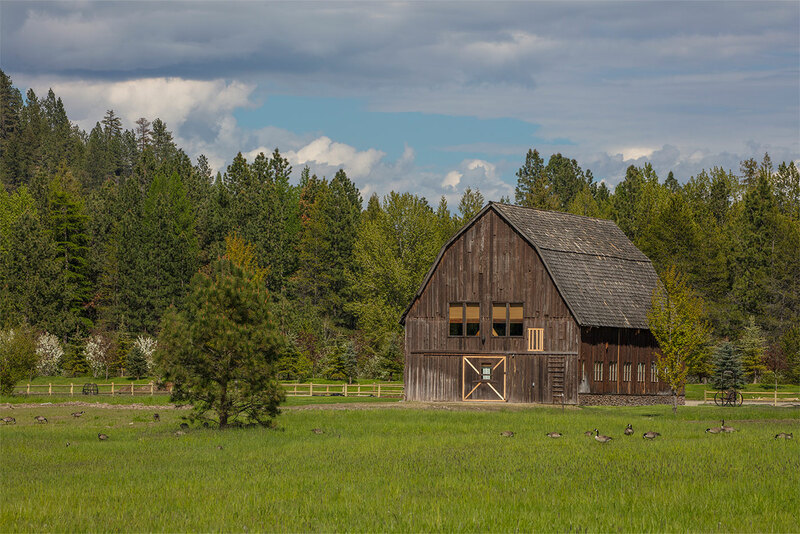 Situated right on Lake Pend Oreille, we provide both accommodations and our homestead barn event center. Accommodations include more than 25 bungalows that can comfortably house as many as 125 plus guests. These delightful lakeside bungalows feature full kitchens and cozy fireplaces. Dover Bay Resort guests enjoy beach access, an on-site marina, water sport rentals, restaurant, full fitness center, pool and more. 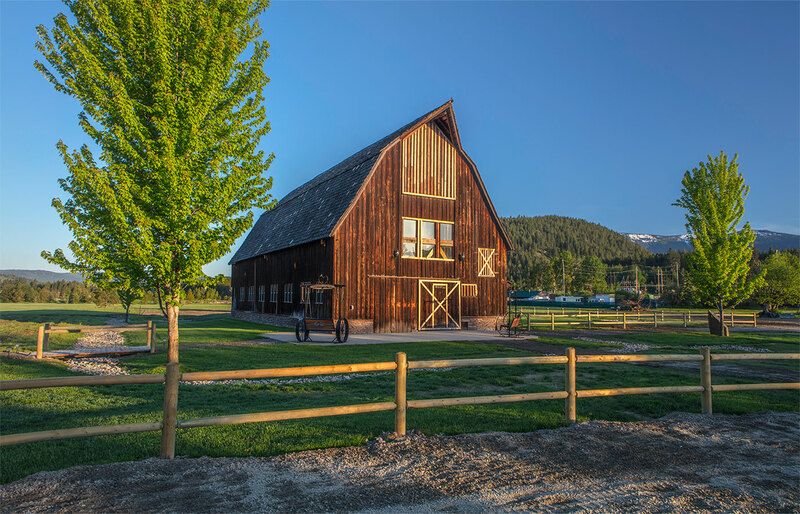 Learn more about the Event Center. Call for a tour and available dates.